(NewsUSA) - The battle over cats versus dogs is as old as the species themselves. Debate any cat lover on this point, and watch the claws come out. However, while clearly passionate about their feline companions, a new national survey by Missouri-based Royal Canin found that owners are lacking concern for their cat's health. "We understand the strong bond pet owners have with their cats, and one of the best ways to enhance that relationship is to learn more about them," says Dr. Brent Mayabb, veterinarian and director of corporate affairs for the premium pet food company. "Understanding a cat's physical and physiological traits is critical to not only finding the right fit for your family, but also in doing what's best for the cat's well-being once they are brought home." *	Low maintenance doesn't mean low energy. Cats are typically selected because, unlike dogs, they don't have to be walked or taken outside, and can be left alone for hours at a time. While felines do rest a majority of the day (up to 16 hours), they also spend time hunting and hiding. Creating a space that includes a place to climb and scratch or hiding food in toys around the house to let your cat "hunt" will help her overall health and happiness. *	A healthy cat is a happy cat. More than 70 percent of owners surveyed said they don't consider their cat's health when selecting food for their pet. 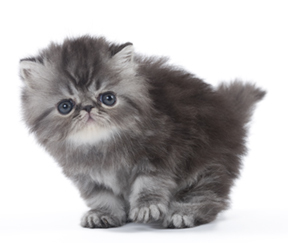 Other factors that should be considered when choosing a food (but aren't) are: a cat's breed, its weight or its age. *	Texture should trump flavor. When choosing a food, cat owners tend to rely on taste when it comes to selection. In fact, 15 percent of owners admitted to trying their cat's food. In truth, cats have a weak sense of taste; aroma and texture play a much bigger role in how cats choose their food. Which is why, says Dr. Mayabb, it's important to consider kibble texture, shape and size and especially food aromas when picking a food your cat will like.